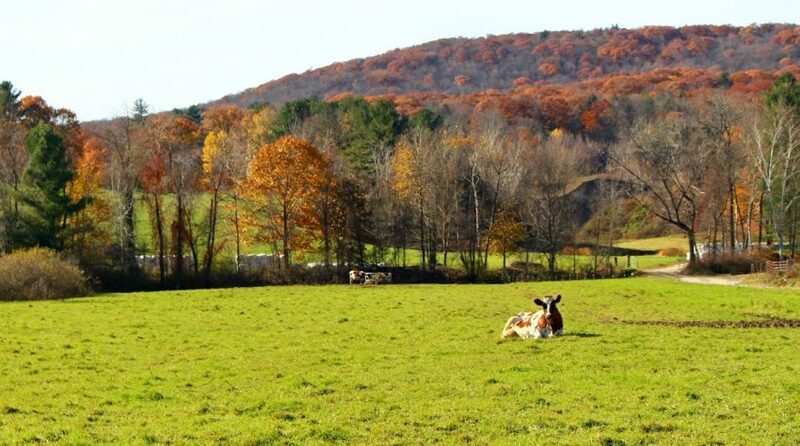 Williamsburg is a scenic, quiet little town at the foothills of the Berkshires, nicknamed ‘Burgy by locals. A very popular activity is hiking. Petticoat Hill is a better known hike spot, but the Williamsburg Woodland Trails organization has many listings on their website, including Big View off Unkamonk Road. Recently the towns of Hatfield and Williamsburg acquired 128 acres of conservation land on Horse Mountain, increasing the town’s open space. If you’re interested in spending a day hiking in ‘Burgy, take a look at the trail maps on the links above. For refreshment after a long day hiking, check out the Brewmasters Tavern, in a historic 1812 building, for burgers and beer and their amazing fried oysters. Another in town dining option for Chinese (take out too if you’re staying locally) is Panda Garden. Snow Farm is also a wonderful reason to visit Williamsburg. The farm offers many classes for both children and adults – glassblowing, pottery, fiber arts, stained glass and much more. They offer small classes and workshops year round. Grow your creativity and try something new! Stop by the Williamsburg General Store for a little bit of everything. They offer a bakery, ice cream counter, candy shop, and toys and trinkets for every age and interest.